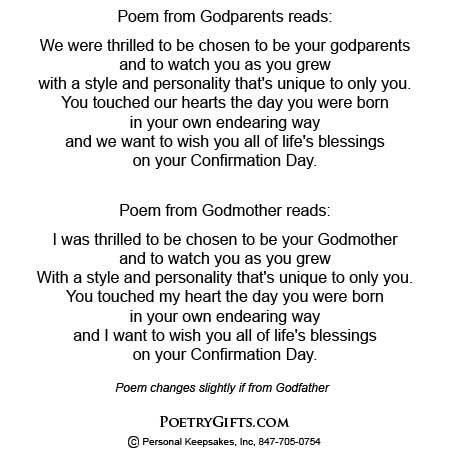 Poetry is a meaningful way to express your feelings to your Godson or Goddaughter on their Confirmation Day. 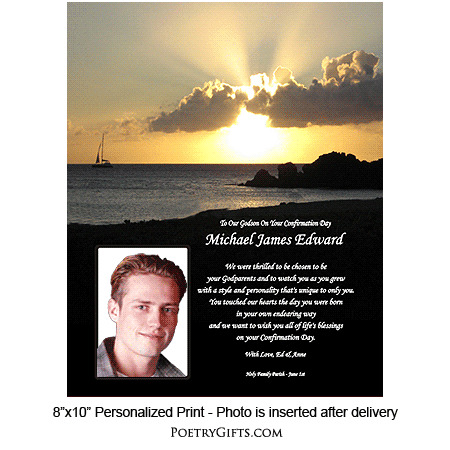 This EXCLUSIVE personalized poem in a brilliant sunset design also has a cut-out opening for a photo. 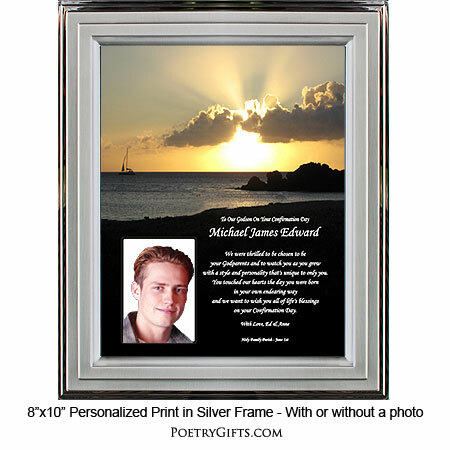 Our Confirmation Poetry Gift is meaningful, thoughtful and lasting...a Confirmation keepsake to cherish and a present you can be proud to give. You remember your Godchild's Baptism Day and now your Goddaughter or Godson is being confirmed...Another milestone to celebrate! Our Godchild Confirmation Poetry Gift makes a very special present. 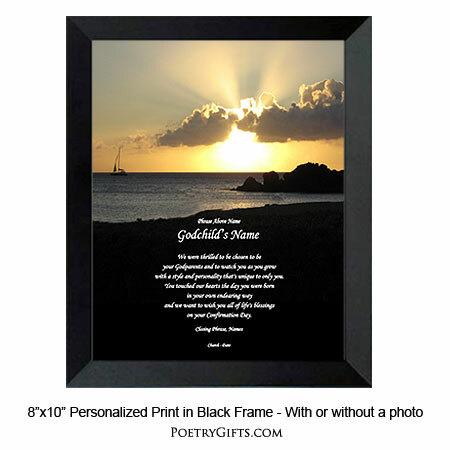 The photography is original as well as the poem which can be personalized with your Godchild's name, Confirmation date, Church Name, and a loving message from you. 3. Closing Phrase and Your Name(s) (as seen after poem) - (Examples: With Love, David; Love, Uncle Jack & Aunt Debby; etc.)"